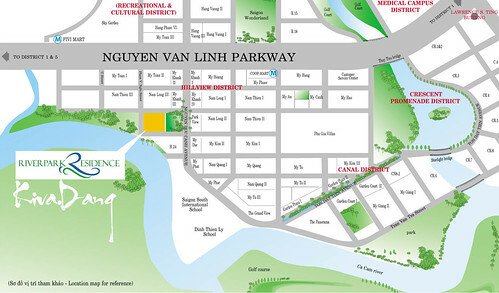 7/09/2009 - There are few sites to remain in the Hillview district of Saigon South (Phu My Hung New City Center). One of the most prominent locations between a main public park and the scenic river will be now developed into a high-class mix-use property with shopping arcades, podium spa areas and residential towers. Modernly designed by Korn Architects (Germany/Vietnam), Riverpark Residence residential project is built on a 16.747sqm land parcel, of which the land for construction is 6.799sqm (constructed density equivalent to 40,6%), the green and open space occupies 9,948sqm of land (equivalent to 59,4%). 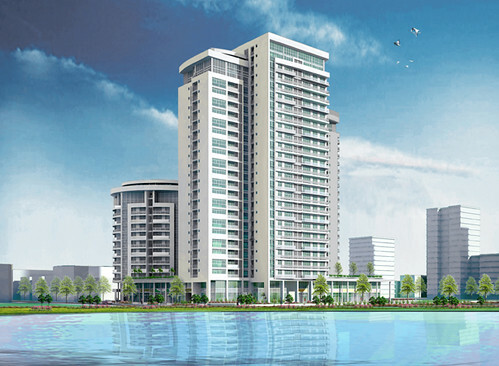 Total construction area is 59,954sqm. The residential complex includes 3 mixed-use towers from 13~26 floors, with 290 apartments from 123sqm ~ 533sqm in size and 14 shops ranging from 138sqm ~ 486sqm in size. There are plenty of parking spaces for the apartments arranged on 3 levels: B1, GF and Level 2 with 336 car parking spaces and 795 motorcycle spaces. 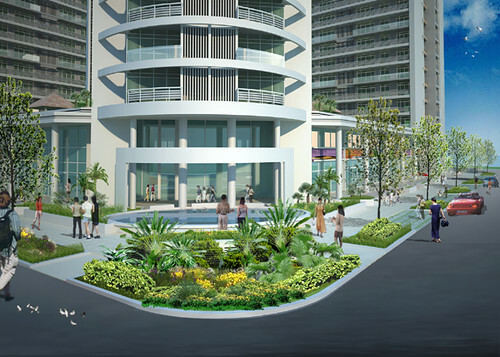 Strategically located in the middle of the well-developed Hillview District, adjacent to the pristine scenic river and a charming lush tropical park, Riverpark Residence is a state-of-the-art architecture with contemporary amenities blooming into the natural beauty. Living in harmony with nature, well-cared environment, on-site amenities … are distinctive advantages of Riverpark Residence for your healthy living. Grand open main lobbies for each tower communicate openness and modern elegance. The lift lobbies on the apartment levels have windows and natural through-ventilation. Building services are state of the art with advanced fire fighting systems, imported elevators and pool equipment. 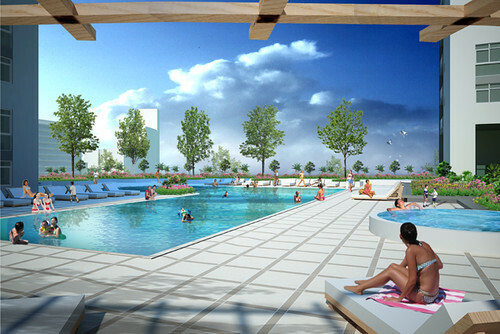 As a retreat and place of relaxation each of the two phases of the project features a lush tropical garden area with a lagoon pool, café and gym as well as generous playgrounds for children on a podium level. A daycare center caters for the smaller kids. Both pools are facing the scenic river. The pools have a 25m lap area as well as a separate shallow children zone. Next to the pool a Jacuzzi with spa-massage function is open to all residents. The public podium also features 2 “tea houses”: covered areas with seating and meditation garden.. 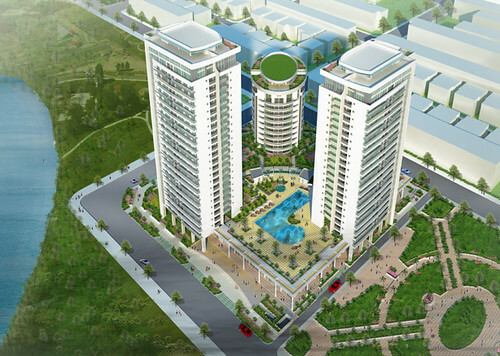 Strategically located between the scenic river and the urban park in the well-developed Hillview District of Phu My Hung New City Center, Riverpark Residence provides a modern lifestyle in harmony with nature. Riverpark Residence apartment will be sold from July/2009. Tel: 84.8.5411 8888 - Hotline: 091 670 9085.